The Second Amendment of the United States Constitution makes clear that every person has a right to bear arms. Over the years, the government has enacted a number of limitations to the second amendment as a deterrent to stopping crimes committed with the use of a firearm. Two of these limitations will be discussed in this article addressing how it’s illegal to carry a loaded firearm in public (PC 25850(a)) and carrying a loaded firearm but not the registered owner of the firearm with the state of California (PC 25850(c)(6)). However, although the government uses laws to prevent you from certain use, it may be more challenging to prosecute someone for a firearm offense than most would anticipate. You may find this article helpful as it will outline the government’s requirements to prove guilt in addition to the possible firearm defenses. 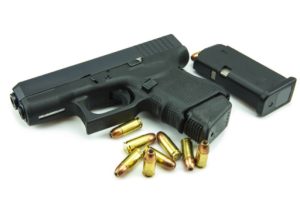 Contact a Southern California Firearms Defense Lawyer. Our office represented those arrested for a firearm offense in Orange County, Los Angeles, Ventura, Riverside, and San Bernardino counties. You were in a public place or on a public street. You’re not the registered owner of the firearm with the California Department of Justice. Early intervention by a Criminal Defense Attorney can mean the difference of getting the case dismissed, substantially reducing the charge(s), or putting forth a viable defense at trial. First, Mr. Rogers will coordinate with your bail options to help swiftly release you from custody. Next, Mr. Rogers will be your acting point of contact with police in the event they wish to contact you for a statement. 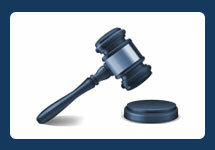 This ensures that you do not say anything incriminating which may be used against you in court. Furthermore, when appropriate, Mr. Rogers can submit a mitigation package to the prosecuting agency requesting that they not file felony charges, but rather misdemeanor charges. Or perhaps request that they reject the case completely in the interest of justice. Lastly, Mr. Rogers will submit notices to local business to preserve any video surveillance which many exist to help support a search violation or other constitutional technicality. With the passage of time, pertinent evidence in your favor may become lost, destroyed, or recorded over. The term “firearm” is defined as “any device designed to be used as a weapon, from which a projectile is expelled or discharged through a barrel by the force of any explosion or other form of combustion.” Some examples includes a shot gun, flare gun, or rocket launcher, since they all contain explosive or incendiary material. Thus, only a weapon which employs an explosion or some other combustion to shoot a projectile qualifies as a “firearm.” Hence, pellet guns or BB guns are not firearms because instead of explosion or other combustion, they use the force or air pressure, gas pressure, or spring action to expel a projectile. As noted above, the Second Amendment guarantees the right to keep and bear arms, however, the amendment does not include the right to carry a concealed weapon. Therefore, nearly all jurisdiction, including California, prohibit and penalize the carrying of a concealed weapon unless you have a special permit to carry the particular kind of weapon in question. Normally a permit is issued after you submit an application with your local sheriff’s department. After approved, if you were cited or arrested for carrying a loaded firearm, and you were issued a valid permit to do so, then you are not guilty of this offense. Employees for the California Department of Justice (“DOJ”) are relied upon to do their jobs swiftly and accurately. 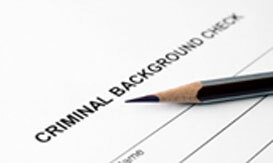 This includes updating criminal records, indexing filed documents, and investigating crime. Because the DOJ must maintain and update records on thousands / millions of California residences, mistakes are certain to happen. Unfortunately, a clerical error in your application to register your weapon resulting in it not being properly registered with the state could land you in jail facing criminal charges. And not very often will the DOJ admit to any error in fear of civil action. Therefore, it’s important to save records of all your applications and documents of ownership to your weapon. In sum, you may have filled out and submitted all the proper paperwork to register your weapon with the DOJ, however, it may have not been properly filed and a law enforcement records check may not reveal you as the registered owner. In some cases, you may have been arrested while you were in possession of an antique firearm. The law in regards to carrying antique firearms is unclear but an argument could be made that you did not violate the spirit of the law since your purpose of carrying the firearm was for collector’s item purposes outside the scope of the legislative intent. In other words, you carried the firearm as a genuine antique and not for the purposes of using it to commit a crime. However, other facts will be pivotal to this argument, such as, where the firearm was located, where you were traveling to, etc. For instance, if you were leisurely walking through a public park with an antique firearm in your waistband, this argument only becomes more challenging. Mere presence at the scene of the crime and intimate knowledge of the offenses simply make a person an eyewitness and do not, without more, permit a conviction of the person as an aider and abettor of the crime. This means that if you were merely present with a loaded firearm in your direct presence, without anything more, then you cannot be convicted of this crime – i.e., mere presence alone is not enough. For instance, you were at your friends home when police enter and find a loaded firearm on the front room table. Since there’s no additional evidence connecting you to that weapon (assuming you make no admission and your finger prints are not lifted from the firearm) then you’re not guilty of a firearm offense. This rational even includes the fact that you knew the firearm was present. The government has multiple theories in which they can prove you carried a loaded firearm. Moreover, the government can prove you actually possessed the firearm if the firearm was discovered on your person or inside your vehicle, or the government can prove you constructively possessed a loaded firearm if you had access or the right to exercise dominion and control over the weapon. Constructive possession is not precisely defined and often giving your defense attorney leeway in creating reasonable doubt in your case. And as similarly noted above, your mere presence in the area where the weapon was seized does not alone prove that you exercised dominion and control over it and thus had it in your constructive possession. The government must prove that you knew you were carrying a loaded firearm. In many instances, you could be holding onto a container with your colleague’s belongings not knowing there was a firearm inside or perhaps someone left a loaded firearm inside your vehicle. However, lack of knowledge that the firearm was loaded is not an element of this offense. Normally, the government is able to prove this element based on your incriminating statements made to a police officer – i.e., you admitted to knowing that you were in possession of the firearm. The defense of justifiable possession occurs when you’re in possession of a firearm for the limited purposes of turning it into your local law enforcement agency. For example, you discover a firearm on the street, place it in your trunk, and you’re transporting the weapon to the local police department to turn it in. The rational for the defense is that you were merely acting as a concerned citizen to report the weapon versus leaving it in the street for anyone to pick up, such as a child. It’s your burden to prove by the preponderance of the evidence for this defense. It’s important to note that you possessed the firearm no longer than necessary to deliver or transport the firearm to a law enforcement agency to dispose of the weapon; you must inform law enforcement that you discovered a weapon and are delivering to their agency. It is not unlawful to carry a loaded firearm (registered in your name or not) if you can prove the defense of momentary possession by the preponderance of the evidence. To establish this defense, you must prove that 1) you possessed the firearm only for a momentary or transitory period; 2) you possessed the firearm in order to abandon, dispose of, or destroy it; 3) you did not intend to prevent law enforcement officials from seizing the firearm. What constitutes a “public place” in violation of this statute can be interpreted by case law defining what constitutes a public place in the context of public intoxication. Whether a particular location is a public place depends on the facts of an individual case. Although “in any public place,” as used in the statute prohibiting being drunk or drugged in public, has been construed as including places “open to the public” and it does not, without more, include “exposed to public view.” Moreover, you must be physically present in a public place – e.g., you were arrested inside your home at the time you were carrying the loaded firearm. A “public place” means common to all or many; general; open to common use. The term “loaded” is defined as “..an unexpended cartridge or shell in the firing chamber or in either a magazine or clip attached to the firearm.” Notice that the term loaded, requires either the clip to be attached or a shell lodged in the firing chamber. Thus, if you possessed a firearm but the ammunition was kept separately, then you are not guilty of these offenses. For example, keeping the firearm in a locked container in your trunk and the ammunition in a separate locked container. Since the ammunition is not attached to the firearm, the firearm cannot be loaded. There may be instances where you carried a firearm because of a threat to your safety or the safety of another. In other words, the reason you were in possession of a loaded firearm (registered to you or not) was for self-defense purposes. For instance, you reasonably believe someone will attack your children in the street and you grab a weapon in an effort to protect your children. However, claims that you live in a high-crime area and you only carry a firearm for protection, will not suffice for a self-defense claim or any viable defense recognized by California law. Nearly all firearm cases contain an issue about whether law enforcement legally obtained the firearm under your Fourth Amendment right to be free from unreasonable searches and seizures. This includes vehicle stops, searches of your vehicle or person, and search made pursuant to a search warrant. Police officers must always be armed with some level of proof to legally detain or search you – i.e., law enforcement must have ample suspicion or probably cause. Absent your consent or emergency circumstances, the government’s burden in justifying law enforcement’s conduct becomes more challenging. In the event the judge determines the firearm was illegal seized, the court will order the firearm to be suppressed and inadmissible against you. In that instance, the government will not be able to proceed with their case against you and therefore the case will be dismissed. A common misconception is that law enforcement must always admonish you of your Miranda Rights and their failure will result in a case dismissal. To be clear, police are only required to admonish you for your Miranda rights if you were in custody – i.e., you were not free to leave; and you were subjected to interrogation. This is a very fact specific issue often requiring an evidentiary hearing so the court can analyze the totality of the circumstances. Miranda may serve as a viable defense, prior to trial, if the government is relying upon your incriminating statements to prove you had knowledge, to determine possession, etc. If part of all of your statements are ordered suppressed by the court, it makes the government’s case against even more burdensome when proving your guilt. In some instances, by winning a Miranda suppression motion, you case could be thrown out completely. WHAT IS THE PUNISHMENT FOR CARRYING A FIREARM? A felony conviction of either PC 25850(a), carrying a loaded firearm, or PC 25850(c)(6), carrying a loaded firearm not as the registered owner, are punishable in the county jail for a period of 16 months, 2, or 3 years. A misdemeanor conviction of either offense carries up to 1 year in the county jail. In the event the court grants probation, you will be placed on a period of probation for 3 to 5 years with community service. The court will also order the firearm to be destroyed by local law enforcement and prohibit you from using or carrying any dangerous weapons. Other consequences include, a life-time restriction on your ability or own or possession a firearm and a conviction may also adversely affect any state issued license. WHAT ARE SOME FIREARM EXAMPLES? Keeping a loaded firearm in your glove compartment inside your vehicle. Forgetting to return your friends firearm and keeping it in your trunk for a long period of time. Walking through a park with a firearm in your waistband. Storing a newly purchased firearm, having proof of purchase from a licensed firearm’s dealer, in your closet but not registering it with the California Department of Justice. ARE CHARGES OF CARRYING A LOADED FIREARM ELIGIBLE TO BE REDUCED TO A MISDEMEANOR AND EXPUNGED? Most firearm offenses are considered wobblers. A wobbler offense is a crime that can be charged as either a felony or misdemeanor. 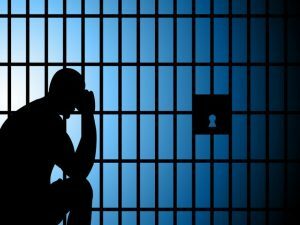 If a person is convicted of a felony, then may be eligible to reduce their conviction to a misdemeanor after successfully completing their probation period. The process requires a specific petition attached to a memorandum of points and authorities outlining the law and reason(s) why the court should grant the reduction motion. However, certain limitations apply when attempting to reduce a felony to a misdemeanor. For example, someone is not eligible to receive reduction if they were sentenced to state prison. Typically, if the court grants the reduction motion, a petition to expunge the conviction is filed immediately thereafter. 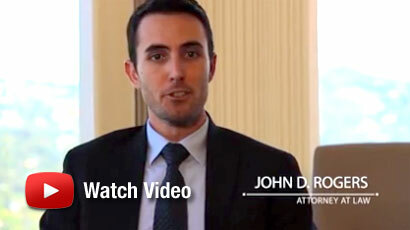 Contact an Orange County Criminal Defense Lawyer at the Law Offices of John D. Rogers for a free confidential consultation concerning your rights and defenses. We can offer guidance and help structure a defense to assist in defeating or reducing the charges against you. WHAT ARE THE RELATED OFFENSES? California Penal Code 25850, subdivision (a): (a) A person is guilty of carrying a loaded firearm when the person carries a loaded firearm on the person or in a vehicle while in any public place or on any public street in an incorporated city or in any public place or on any public street in a prohibited area of unincorporated territory. California Penal Code 25850, subdivision (c)(6): (c) Carrying a loaded firearm in violation of this section is punishable, as follows: (6) Where the person is not listed with the Department of Justice pursuant to Section 11106 as the registered owner of the handgun, by imprisonment pursuant to subdivision (h) of Section 1170, or by imprisonment in a county jail not to exceed one year, or by a fine not to exceed one thousand dollars ($1,000), or both that fine and imprisonment. See People v. Monjaras (2008) 164 Cal.App.4th 1432. See U.S. v. Moye 422 F.3d 207 (4th Cir. 2005). See People v. Dillard (1984) 154 Cal.App.3d 261. See In re Koehne (1963) 59 Cal.2d 646. See People v. Belanger (1966) 243 Cal.App.2d 654. See People v. Clark (1996) 45 Cal.App.4th 1147 where the court held that a shotgun is not loaded if the shell or cartridge is stored elsewhere and not yet placed in a firing position.